Private 16023, Hugh Thomas Davies, 10th Battalion, 76th Brigade, 3rd Division. Died of Wounds, 26 February 1916, aged 21. Buried Plot IV. D. 13A. Lijssenthoek Military Cemetery, Belgium. Commemorated on the Abergele War Memorial and Abergele Town Memorial. The inscription on his headstone reads: Death Divides but a Loving Memory Ever Clings, Mother & Father. Son of John and Matilda Davies, of 15, Mount Pleasant, Abergele. Born Abergele, April 1894, enlisted Colwyn Bay. Arrived in France 27 September 1915. The family was living at Nelson Terrace in 1911, at Mill House c.1917, and at 15, Mount Pleasant, towards the end of the war and immediately afterwards. In 1911 the family had consisted of 7 children, and the oldest three boys all served. Based on the 1911 Census their details were: Hugh Thomas, aged 16 and a Fishmonger’s Errand Boy, Robert Edward aged 14 and a Telegraph Messenger, and John Christopher, aged 12 and at school. A younger brother, David William, aged 10 in 1911, probably narrowly escaped conscription towards the end of the war. Private 15470, John Robert Davies, 10th Battalion, 76th Brigade, 3rd Division. Died of Wounds, 20 February 1916, aged 23. Buried Plot IV. D. 13A. Lijssenthoek Military Cemetery, Belgium. Not commemorated in the Abergele district, but commemorated on the Llanfairfechan War Memorial. The inscription on his headstone reads: Y peth yr wif fi yn ei wneuthur ni wyddost ti yr awrhon, Ioan XIII.7 (You do not realize now what I am doing, but later you will understand). Born in Llanddulas, the son of John and Ann Davies who both died whilst he was young. In 1901 he was living with his grandparents at 17, New Street Abergele. By 1911 he had become the adopted son of his Aunt, Sarah Jones, of Washington House, Llanfairfechan. As an original volunteer member of the 10th Battalion, Royal Welsh Fusiliers, John had arrived in France, at Boulogne, 27 September 1915. Until December 1915 the battalion’s experience had been one of routine periods in the front line trenches, south of Ypres, and periods of rest in rear area billets. It was during the battalion’s third stretch in the trenches that Richard Maurice Evans, the battalions first Abergele casualty, had been killed. The battalion returned to the trenches 17 December 1915 until Christmas Eve and, as before, daily casualties from occasional shelling and the ever-present German snipers were incurred. That stint cost 4 men killed, 14 wounded and a further 4 who died of wounds. The steady erosion of the battalion through the attrition of trench warfare led to the battalion receiving it’s first batch of reinforcements from the 3rd (Reserve) RWF battalion at this time. On New Year’s Eve, 10th RWF returned to the trenches. Over the next few weeks the usual rotation between being in and out of the trenches continued, and the usual casualties were incurred. January saw 4 men killed, 18 wounded, a further 3 who died of their wounds and 1 sent home as physically unable to continue. The start of February saw the battalion less frequently in the line as a period of movement and relocation followed. However, by 15 February they were in Poperinge, Belgium, and the following day returned to the trenches. Sadly, a new Adjutant’s hand had taken to the writing of the battalion war diary. Whereas before it had been very detailed, the entries now become rather vague. All that is noted for 17 February, the day that John was fatally wounded, is that the battalion experienced it’s first major trauma above and beyond the routine casualties of trench warfare, and yet the diary merely names the deaths of two officers, the wounding of 3 others and then blandly states “other ranks – 18 killed and 35 wounded” . The following day is little different: “casualties – other ranks 6 killed and 6 wounded” . The following day, 19 February 1915, the battalion were relieved from the trenches. What exactly had happened? Following a period of rest the 10th Royal Welsh Fusiliers re-entered the front line trenches north-east of St. Eloi, Belgium, on 16 February 1916. The trenches they inherited were old and in poor condition. At 5.30 a.m. on the 17th a furious German artillery bombardment began falling on the battalion’s part of the front line. Over the next half an hour there was little that the men could do other than ride the storm and hope for the best. Casualties were heavy. Eighteen men were killed and 35 wounded. Amongst the wounded were two local men, John Robert Davies, who died three days later 20 February 1916, and Hugh Thomas Davies. The two Abergele and district men are buried in the same grave. Private 15089 Richard Maurice Evans, ‘A’ Company, 10th Battalion, Royal Welsh Fusiliers, 76th Brigade, 3rd Division. Killed in action, 9 December 1915, aged 28. No known grave, but known to have been buried and is commemorated on a Special Memorial in Hedge Row Trench Cemetery, Ypres, Belgium. Not commemorated in the Abergele district. Known as Maurice. Born Holloway, London, the son of Richard and Anne Elizabeth Evans, of 3, Narrow St., Llanfyllin, Montgomeryshire, but lived at Mountain View, Llanddulas. Enlisted Colwyn Bay in 1914. Gave his residence at that time as Liverpool. Brother of Lance Corporal D. R. Evans of Towyn and Lieutenant J. T. Evans of Pensarn. Richard Evans senior, formerly a councillor in Montgomeryshire, had moved to Abergele shortly before the outbreak of war. One of his sons, Maurice, had emigrated to Canada c.1911-1912 but returned to join the army shortly after war was declared, enlisting into the Royal Welsh Fusiliers in Colwyn Bay. His brothers, Lance Corporal D. R. Evans, of a territorial battalion of the Royal Welsh Fusiliers, and Second Lieutenant John Thomas Evans, later of the Machine Gun Section, 9th South Wales Borderers, were also early entrants into the war. D. R. Evans was wounded in Gallipoli in the summer of 1915. John Thomas Evans initially joined the 16th Royal Scots but received his officer’s commission in May 1915 and joined the South Wales Borderers. Both returned home from the war. Maurice was posted to the 10th Battalion, Royal Welsh Fusiliers (10th RWF) which was set up in Wrexham 16 October 1914. It began training its new, enthusiastic recruits at Codford in Wiltshire before shortly moving to Bournemouth. In April 1915 the battalion moved to Romsey and finally, in June 1915, to Aldershot. Maurice went to France with the battalion 27 September 1915, landing at Boulogne. From there the battalion moved to Belgium and was transferred, with the whole of 76th Brigade, to 3rd Division 10 October 1915. Five days later the battalion moved into the trenches for the first time near Ypres, suffering its first fatality as Private Lawrence Eede was shot through the head by a German sniper. Over the next four days, six more men were hit and wounded by snipers and five by shrapnel, one of whom subsequently died. For many of the citizen soldiers of the 10th RWF, like Maurice Evans, these few days must have provided them with a stark reality of what they had signed up for. Withdrawn to billets at Eecke for the next few weeks, the battalion was selected to send a detail to Reninghelst to be inspected by the King’s of both Britain and Belgium and the French President on 27 October 1915. But for one man the combined pressures of life at the front and the prospect of an imminent return to the front line must have become too much. On 3 November Colour Sergeant Major Fisher broke up a fracas in which 28 year old Private Charles William Knight “….was firing his rifle indiscriminately inside a billet, and who had already killed a comrade and wounded another” . Found guilty of the murder of 22 year old Private Alfred Edwards of Ruabon, Private Knight was executed by firing squad on 15 November. The battalion returned to the trenches south of Ypres 21 November 1915 and trench attrition set in once more. A combination of snipers and occasional shelling killed 3 men, wounded 7 and another died of his wounds. That German snipers were active was recorded in the war diary of 27 November: “Two Germans, one of whom had just shot Pte. Owens, were killed by one of our snipers and a sentry respectively”. Nevertheless, the next day Private Thomas Lynch was shot in the head by a sniper and Private Michael Murphy was wounded when shot in the shoulder before the battalion was withdrawn to Dickebusch for rest. The next tour of the trenches, in the same vicinity as previously, began 4 December. For Maurice, it would be his last time at the front. Unfortunately, the battalion war diary, which up until this point had assiduously recorded casualties, did not note Maurice’s death on 9 December. Whether it was from a sniper or shelling is therefore unclear, but it would most likely have been by one of those causes. The first news at home of Maurice’s death (whom his parents had not seen for three years since before his emigration) came in a letter from his CO as transcribed below. Although known to have been buried in Hedge Row Trench Cemetery, Ypres, the cemetery suffered very severely from shell fire, and after the Armistice the positions of the individual graves could not be found or reconstructed, thus the precise location of his grave was lost and he is recorded on a special memorial. Private 12847 John Owen Gilmore. 1st Battalion Scots Guards, 2nd (Guards) Brigade, Guards Division. Killed in action, 27 September 1915, Battle of Loos, aged 19. No known grave. Commemorated Panel 8 and 9, Loos Memorial, Loos-en-Gohelle, Pas de Calais, France. Not commemorated in the Abergele district. Born Abergele 1897 and lived 17, Mount Pleasant, Abergele until at least 1911. The eldest of the six children of Owen and Harriet Gilmore. Enlisted in Liverpool with an address of 269, New Chester Rd., New Ferry, Wirral, Cheshire. Before enlistment he had worked, from at least the age of 14, as an Iron Ore Miner, like his father. He landed in France as a reinforcement for 1st Scots Guards 12 July 1915. He was reported as missing during the Battle of Loos on 27 September 1915, and with no further evidence to his fate he was presumed to have died on that date several months later. See here for more details of Loos and Abergele. Sergeant 9444 Daniel Owen Lloyd. 1st Battalion Royal Welsh Fusiliers, 22nd Brigade, 7th Division. Killed in action, 25 September 1915, Battle of Loos, aged 30. No known grave. Commemorated Panel 50 to 52, Loos Memorial, Loos-en-Gohelle, Pas de Calais, France. Also commemorated on Abergele War Memorial and Abergele Town Memorial. Son of Henry and Mary Elizabeth Lloyd, of “Rhianws”, 2, Granville Terrace, Abergele. Born Bodfari, enlisted Rhyl, lived Abergele. A professional soldier and formerly of 2nd Battalion, RWF. Promoted from Corporal to Sergeant January 1915. Brother of Griffith Lloyd, also of the Royal Welsh Fusiliers. One of 12 children, one of whom had died young. The family had moved from Bodfari to Abergele between 1891 and 1894 and they initially lived at 3, Twll Llwynog Cottages until after 1901, before moving to ‘Rhianws’, Granville Terrace, by 1911. On 20 December 1914, Dan wrote to his father. Dan and his brother Griff had so narrowly missed serving together. Dan had started the war in the 1st Battalion, but was now in the 2nd, and Griff had started in the 2nd but was now in the 1st. Griff had been shot in the leg near Ypres in October 1914 and, upon his return he had transferred battalions. It was whilst Griff was recovering in hospital that Dan had moved the other way. But in March 1915 a most bizarre thing happened. The two brothers bumped into each other, “in the trenches“, as the pair put it in separate letters home. They had not seen each other in nine years. This would be their last meeting. Dan was home on leave in July 1915 whilst temporarily serving with the 22nd Brigade’s Trench Mortar Battery, which he remained with until the end of August 1915 when he was promoted to the rank of Company Sergeant Major. A few weeks later he was killed at the Battle of Loos (see here for details of the events of the day). The Abergele and Pensarn Visitor printed a pen picture of Dan when his death had been officially confirmed, which is worth quoting in full. It is hard to imagine that Griff got much of a chance to look for his brother’s grave. If he did he was unsuccessful, for Dan’s grave was subsequently lost or, if his body was removed for reburial in a concentration cemetery after the war, it had lost any marker to indicate his identity. It is possible that he lies in one of the many unnamed graves in the Loos area, but he will always remain one of the missing. When the heroes all return. the son and brother we loved so well. But as long as life and memory last. Private 6381 David Williams. 2nd Battalion Royal Welsh Fusiliers, 19th Brigade, 2nd Division. Killed in action, 25 September 1915, Battle of Loos, aged 33. Plot H. 21., Cambrin Churchyard Extension, Pas de Calais, France. Also commemorated on Abergele War Memorial, Abergele Town Memorial and Towyn War Memorial. Son of John Williams. Born Towyn, enlisted Wrexham. Lived 5, Manchester Cottages, Towyn. His brother Edward served in the Welsh Guards. David Williams enlisted into the Royal Welsh Fusiliers in Wrexham 15 March 1900, aged 18. By 1914 he had left the army and in civilian life he was a Carter employed by the London & North Western Railway Company. He was recalled 5 August 1914 as a reservist. He was a shade under 5′ 6″ tall with brown eyes and brown hair. He gave his religious denomination as Church of England and was married to Jane Williams of 3, Sportsman’s Terrace, Afonwen, Flintshire. He was recalled 5 August 1914 as a reservist. He went overseas 6 October 1914 as a 1st Battalion man and was wounded almost immediately, being shot in the leg and also the head. It was a lucky escape, with the bullet passing through his cap and travelling along his scalp. Whilst in hospital in the UK his sister Martha died suddenly in November 1914. He was briefly home on leave at Christmas 1914 whilst still recovering. Having recovered from his wounding he was posted to 2nd Battalion RWF. Further details of the Battle of Loos, in which he was killed 25 September 1915 can be found here. He had 4 children. The youngest, also named David, was born just 24 days before his father was killed. He would never see his son. His ‘1914 Star’ Medal was received by his widow in June 1919. By this time, four years after David’s death, she had moved to Woodbine Cottage, Bodfari and was remarried with the surname of Rundle. Private 8998 John (Jack) Edwards. 2nd Battalion Royal Welsh Fusiliers, 19th Brigade, 2nd Division. Killed in action, 25 September 1915, Battle of Loos, aged 31. Plot H. 21., Cambrin Churchyard Extension, Pas de Calais, France. Not commemorated in the Abergele district. Dwygyfylchi War Memorial. Known as Jack. Son of Robert Edwards, of Pen Pyra Farm, Sychnant Pass, Dwygyfylchi. Born Penmaenmawr, enlisted Wrexham. Lived (1914) at 20, New Street, Abergele. Awarded the Medaille Militaire by France. Born in Penmaenbach in 1884, Jack Edwards joined the army from school and served with the 2nd Battalion Royal Welsh Fusiliers in India. He left the army in 1912 but remained on the reserve. He was working on the railway extension and widening work at Pensarn for the London & North Western Railway when the First World War began, and was living at 20, New Street, Abergele. As a reservist, he immediately re-joined his old regiment at Wrexham and was posted to France, arriving 13 August 1914 with the 2nd Battalion. What happened to Jack at Loos is described here. Jack had earlier distinguished himself in the Battle of the Marne in 1914 and it is worth recounting his exploits. Unfortunately, there is an ‘accepted’ version of what happened and a true one. Both versions follow. The first is based on an article published by historypoints.org. It is, however, almost totally incorrect. Afterwards I offer a more accurate version merely to illustrate how oral testimony and newspaper accounts from the war can be terribly misleading. During the Allied retreat after the Battle of Mons in August 1914, soldiers realised at a roll call that a Lieutenant Thompson, of the Dorset Regiment, was lying wounded in a village which by then was in German hands. Unknown to anyone, Jack Edwards went out into the night and eluded the enemy sentries to reach the village. He eventually found the young officer lying badly injured. Avoiding detection again, Jack carried the officer on his shoulder to British lines. When he re-appeared in the trenches he was given a “hearty ovation”. Unfortunately, Lieutenant Thompson died the next day. A few days later, a senior officer approached Jack, who later recalled that he thought that he was “in for it” and was going to be court martialled for his foray into enemy territory. It came as a “pleasant surprise” when he learned he was to be recommended for the Distinguished Conduct Medal. He was one of the first Welsh soldiers to receive this honour in the First World War. The incident also caught a French officer’s attention, and the French Government awarded Jack the Medaille Militaire. His deeds also resulted in him being Mentioned in Dispatches in the London Gazette of 20 October 1914 (though, sadly, mistakenly by the name E. Edwards). This account is incorrect in several ways. For a start, there is no record of the death of a Lieutenant Thompson of the Dorsetshire Regiment in 1914. In fact, nobody named Thompson from that regiment died in 1914. The local newspaper report also carries a very different version, suggesting that Edwards rescued a higher ranking Officer and no fewer than ten other wounded comrades. However, this story is total nonsense. Quite how the additional claim, that Jack had carried a further ten wounded men to safety, made its way into the account – given that it was totally untrue – is a reminder of how ‘war stories’ can often grow in the telling, especially when placed in the hands of local journalists eager to enhance the glory of local soldiers. As will be seen below, what Jack actually did was heroic enough, without the need for ridiculous embellishment. The additional claim that “he was one of the first Welsh soldiers to receive this honour (the DCM) in the First World War” is also incorrect. He did not receive the DCM. No such award can be found in the London Gazette, there is no reference to it on his Medal Index Card, and it is not recorded in Citations of the Distinguished Conduct Medal, 1914-1920. The truth is that Jack Edwards may have been recommended for a DCM, but he was not awarded one. Furthermore, in the correct version below we are offered eyewitness testimony that the DCM was never awarded. Early in the morning of 8 September 1914 the 2nd Royal Welsh Fusiliers began marching along the Crécy-Sameron road towards the River Marne. They came under artillery fire and changed direction towards the hamlet of Signy-Signets near La Ferté-sous-Jouarre. Upon arriving at the river the battalion halted and “within a couple of minutes we came under traversing machine gun fire” [Major Geiger, quoted in ‘The War the Infantry Knew’, J. C. Dunn, 1938, p.53]. A Company were “lying down, firing and being fired at, mostly by machine guns” [Lieutenant Colonel Delmé-Radcliffe, quoted in ‘The War the Infantry Knew’, J. C. Dunn, 1938, p.54]. The following day the battalion were in the same place, facing the river near the Perreuse Chateau. Private Frank Richards of the 2nd Royal Welsh Fusiliers would later describe what happened next. From these accounts, it would appear that Privates F. Jackson and Jack Edwards ran into the open space, under heavy machine gun fire, to rescue their wounded Second Lieutenant. The German machine gunners clearly tried to kill the two men, with Jackson being shot through the wrist in the process. Jack came back unwounded. He also came out of the experience somewhat unfazed. Back in Abergele there was some excitement at the thought of a local man being honoured, but all that Jack could write about the war in a letter to a friend in Abergele was, “it is a fine life we are having out here. Only the weather makes it a bit uncomfortable at times” [Liverpool Daily Post, 16 December 1914]. Private 27433 Frederick William Jones. 2nd Battalion, Welsh Regiment, 3rd Brigade, 1st Division. Killed in action, 25 September 1915, Battle of Loos, aged 30. No known grave. Commemorated panel 77 and 78, Loos Memorial, Loos-en-Gohelle, Pas de Calais, France. Not commemorated in the Abergele district. Born Abergele. Son of the late Frederick and Elizabeth Jones. He married Maud Walsh, of 5, Fortescue St., off Prescot St., Liverpool, and they had young children when he enlisted in Liverpool in February 1915. Given his enlistment date, it is likely that he had been in France for no more than a month when he was killed at Loos. For more details of the day he died click here. Abergele’s darkest day of the war, 10 August 1915, had seen the deaths of five local men at Suvla Bay, Gallipoli. However, the town and district was blissfully unaware of the scale of the tragedy until late September when the first, often contradictory, reports of men missing, wounded or killed began to filter through. As the community began to brace itself for the worst it was also unaware that the town’s second worst day of the war had just occurred. On 25 September 1915 four local men had fallen at the Battle of Loos: David Williams, John (Jack) Edwards, Daniel Owen Lloyd and Frederick William Jones. Two days later the same battle would claim the life of a fifth local man, John Owen Gilmore. Over the coming days detailed biographies of the men who fell at Loos will be released on to the site. To assist in making sense of their stories a very brief outline of the battle as it affected the Abergele contingent may prove useful. The Western Front had long been locked in the stalemate of trench systems. This suited the Germans who were happy to hold on to their territorial gains in a defensive posture whilst they concentrated on defeating Russia in the east. The French were keen to take advantage of this fact and, with significant British support, launch an assault to break the deadlock. The British part in this wider battle would be an attack north of Lens through a generally flat mining area in the vicinity of Loos. The attack of six divisions would be accompanied by an intense smoke barrage and the first British use of chlorine gas. The battle would generally not go well and resulted in over 60,000 casualties, nearly 8,000 of which were fatalities. Amongst the battalions of the six divisions scheduled for the battle was the 2nd Royal Welsh Fusiliers. John (Jack) Edwards of New Street, Abergele, and David Williams of Manchester Cottages, Towyn, were just two of a number of local men in the 2nd Royal Welsh Fusiliers, 19th Brigade, 2nd Division. Jack had been with the battalion in France from the very beginning. David had originally been with 1st RWF and been wounded almost immediately in October 1914. When he returned to duty he was posted to 2nd RWF, a battalion that had already suffered the loss of Geleites John Thomas Jones, Fred Edwards and William Henry Hartley Higgins. Having witnessed the slaughter of B and C companies the RWF held back the planned follow up by A and D companies. Around 120 men had fallen in seconds, nearly 50% of the strength of the two companies that had gone ‘over the top’. David and Jack were amongst the casualties. Many of the wounded lay out in no man’s land until darkness. Thirty five bodies were recovered and identified, including those of David and Jack, and they were buried in nearby Cambrin cemetery during the night. Amongst the men tasked with digging the graves and burying the dead was Griffith Morris Lloyd  of Grenville Terrace, Rhuddlan Road. Griff had begun the war with 1st RWF but had been shot in the leg in October 1914 and posted to the 2nd RWF in January 1915 upon his recovery. No longer as mobile as before he was now one of the battalion cooks (under the command of another Abergele man, the Quartermaster Harry Yates ) and had mercifully sat out of the disaster of earlier that day. As he laid the dead to rest he was no doubt anxious for news of his brother, and fellow professional soldier, Company Sergeant Major Daniel Owen Lloyd. Dan was in 1st RWF and they had been involved in the assault on the opposite flank of the Loos battlefield. Griff would not find out for several days yet, but his brother was dead. Dan’s 1st RWF, of 22nd Brigade, 7th Division, had also suffered significant casualties despite having a generally more successful day. They had taken the German support trenches and hampered the movement of German reinforcements. There is little evidence available to describe Dan’s final moments, though later reports indicate that he was ‘pumped up’ (to use a modern phrase) before the battle, convinced that either death or glory lay ahead. Dan’s body was recovered, but his final resting place was subsequently lost. Elsewhere on the battlefield was Frederick William Jones of the 2nd Welsh. Although no longer a resident of the district, Fred had been born in Abergele. The battalion war diary (edited) describes how the day unfolded for the 2nd Welsh. Presumably Fred fell between 12.30 a.m. and the moment of the German surrender descried above. He has no known grave. Later that day the recently formed Guards Division arrived in the battle area. This included John Owen Gilmore, formerly of Mount Pleasant, Abergele who was a Private in the 1st Battalion Scots Guards. The following afternoon the Guards moved into the original British trenches and began developing plans for an attack on Hill 70 the next day. The 1st Scots Guards would be at the forefront of the assault near an area known as the chalk pit. The attack of 27 September was launched in the face of gas and artillery and many men fell. One contingent pressed on and became engaged in hand to hand fighting for an area known as Puits 14 bis. This group held on to their prize for much of the day and only withdrew during darkness having suffered enormous casualties. Overall over 470 Scots Guards, about half of its fighting strength, had become casualties in a day. John Gilmore was amongst them. It is not possible to tell in which phase of the battle John fell, but his body was never recovered and it is thus likely he was part of the small band that tenaciously tried to hold Puits 14 bis. Griff Lloyd would survive the war. He enlisted 14 October 1912 and was thus already serving when the war began. Began the war in the 1st Battalion, landing with them 6 October 1914 at Zeebrugge, having returned to Southampton from Malta. He was shot in the leg 21 October 1914 during fighting near Ypres and returned to 3rd Western General Military Hospital in Cardiff in the UK – shrapnel was removed under chloroform. Home address at that time of 2, Granville Terrace. He was transferred to the 2nd Battalion January 1915 on his return from his wounding. Home on leave July 1917. Remained in the army after the war. In WWII he was Platoon Sergeant to 2 Platoon, A Company, 1st Battalion, Denbighshire Home Guard. Harry Yates MC was one of the ‘characters’ of 2nd RWF. He was born the son of a blacksmith on 3rd May 1868 at 24 Mary Street, Ashton under Lyne and later married an Abergele woman and became a Welsh speaker. Enlisted 4 March 1887 and served in Egypt. Hong Kong, India and China including the Boxer Rising, culminating in the Relief of Pekin on 14 Aug 1900 where Yates was a colour-sergeant. He was gazetted Honorary Lieutenant and Quartermaster on 27th January 1912. Home on leave January 1915 staying with his brother in law William Roberts at Bodgwilym, Castle Place, and he was also in Abergele in August 1918. He was the uncle of Abergele soldiers John Evan and Thomas Owen Roberts and attended the former’s wedding in Abergele in September 1915. Mentioned in dispatches 1 January 1916 and 15 June 1916. Awarded the Military Cross for gallantry in 1918. He was the only officer to serve with the 2nd RWF from the beginning to the end of the war. After the war he returned to UK as a major QM 29th May 1919 and was able to greet his wife ‘heartily and unblushingly’ at the returning parade in the Depot town of Wrexham. At some point between 1919 and 1922 his wife died. He retired from the army 4th April 1922. In early 1925 he applied for a post as Recruiting Officer having been unemployed for eleven months whilst living in Liverpool. He was not appointed. At some point between 1922 and 1929 he remarried and a son, Ivan Alexander Yates, was born 22nd April 1929. He died suddenly on 14th November 1946 aged 78. 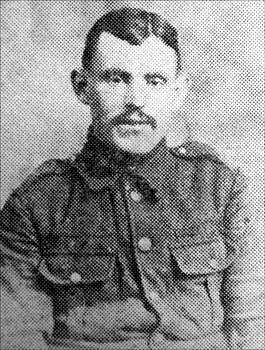 Private 12477 Joseph Heber Owen. 8th Battalion, Royal Welsh Fusiliers, 40th Brigade, 13th (Western) Division. Killed in action, 16 August 1915, Gallipoli, aged 21. No known grave. Commemorated panel 77 to 80, Helles Memorial, Gallipoli Peninsula, Turkey. Not commemorated in the Abergele district. Prestatyn War Memorial. Born c.1894 in Abergele, Joseph was the son of the Wesleyan Minister, Joseph Owen, and his wife Susannah. Other than being born in Abergele, Joseph’s connections to the town were few. By 1901 the family had moved to Llanasa near Prestatyn. He enlisted in Rhyl and lived in Prestatyn. His medal index card records that his death was later ‘accepted’ as 16/08/1915 indicating that he was initally listed as missing for some time afterwards. 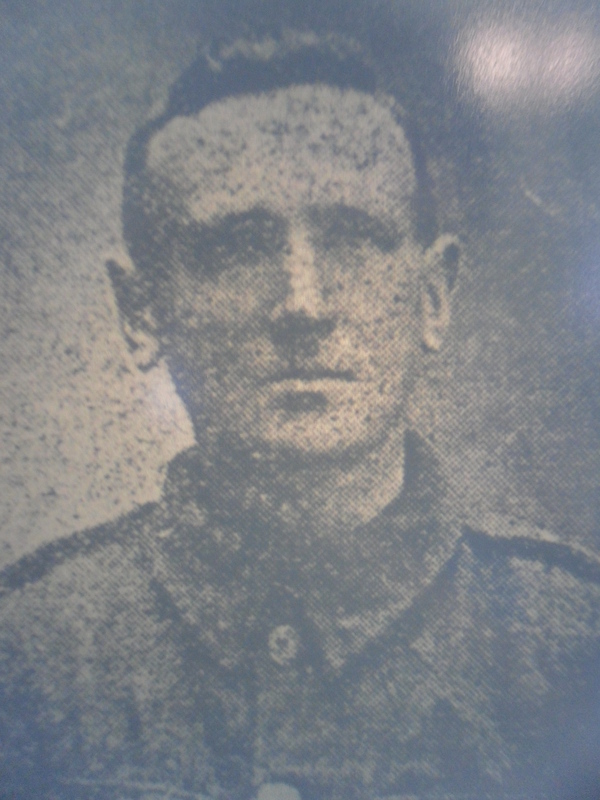 Joseph was the ninth and last Abergele men to fall in the Gallipoli camapaign (see here for more details).